The family-friendly animal filled series has returned, this time with more options and features, but will City Folk be able to improve upon the already massively popular franchise? Workingman: Animal Crossing: City Folk, following in the mold made by the previous games in the series, does not feature a story and instead relies on the player to create a destiny. You start the game by newly arriving at a town and purchasing a home from the local storeowner. From there, what you do and where you do is entirely up to you. City Folk prides itself on being a simulation game (with talking animals) where you have the option to do pretty much whatever you want to. When you first purchase your home, it will be a small, plain one-room shack. From there, your only "goal" is to pay off the loan on your home and slowly upgrade it to become a massive Victorian. To earn money, you will have to dig, shake the trees, run errands and sell the junk you find at the local shop. City Folk does not ever press you with an "objective" or a "goal" and instead encourages you to wander around the world, often doing absolutely nothing. The non-city areas in the game are still enjoyable to explore, though they are not nearly as pleasant to adventure through as the actual focus of the game; the City. Urban Animal: City Folk has a very large focus on this time around being able to travel to the city and interact with the city folk residing there (hence the game's title). When you get to the city, you will discover a town where nearly everything you could possible want is available, for a price. Coffee shops, entertainment joints, clothing stores and more litter the city environment. The citizens that live there are also a little different then the ones that you will find living outside of the hustle-and-bustle of the City. Many of them are in hurries, and don't expect them to have time to chat with you! In the City, you have a rather large amount of time-wasting options at your disposal. You could spend a little while watching singers at the entertainment clubs, sipping coffee in the local espresso shop or simply buying new clothes. There are also a couple of special stores that allow you to bring a little bit of yourself into the game, literally! For the first time in the franchise, you will be able to shed that hat that you constantly wear in favor of a hot hairstyle or even your very own face by transferring your Mii's face onto your Animal Crossing character. Despite the enjoyable City to explore, the game isn't without its flaws though. Lets Go Get Some Coffee I Guess: As is common with the Animal Crossing series, the game does get a little repetitive after you feel like you have done everything the game has to offer. Outside of the city, the game can quickly become boring as you wander aimlessly around the city, picking weeds or looking for somebody with an errand. In the City, despite the first appearance, there really isn't a bunch of things to do. After you bought the 15th coffee, seen the same entertainment show for the 4th time or changed your hairstyle for the 8th time, the City starts to feel a little bland and you really run our of things to do after a shockingly short amount of time. 2D Is The New 3D: The visuals featured in Animal Crossing: City Folk are rather odd and very difficult to score. While the game is not very detailed and does not look very "next-gen", in addition to the entire game being virtually 2D, the graphics fit perfectly with the tone of the entire game. The visuals ultimately end up being impressive, for the kind of game that they are featured in. You will not see realistic gore and environments, but you will see cutesy and bright graphics that will appeal to most anyone. The voice acting in City Folk is nearly non-existent, since the game's dialogue is completely text-based, though the music score that the game features is very light-hearted and enjoyable to listen to. 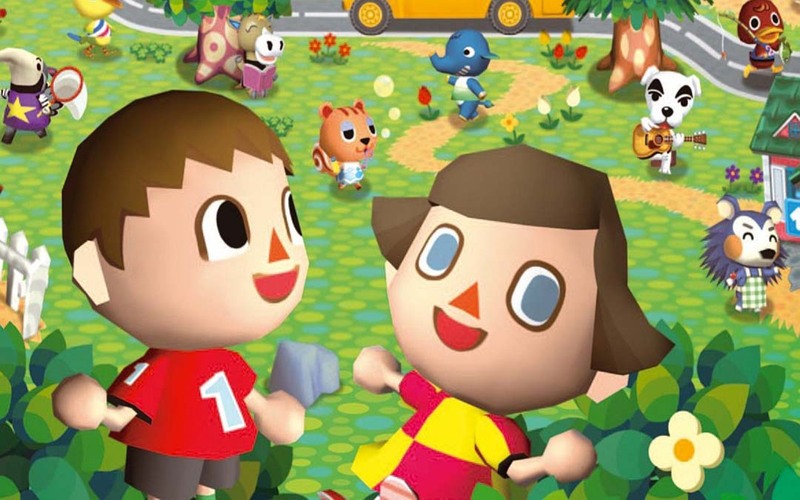 Rent vs. Buy: Animal Crossing: City Folk is very similar to its predecessors and does not look to be changing out of the original mold made by the very first Animal Crossing game. City Folk carries the same easiness and light-hearted appeal that the series has always had, though doesn't do anything about the common flaws in the game like the repetitiveness. If you are a fan of the series, then you cannot go wrong with immediately buying the game, though if you are new to the franchise or was never big into the series, then you should only rent City Folk, as you should be able to get your fill of the game by the time the return is due.